The cross-generational fact-cloud that is Medicine has taught us that frostbite is not contagious. When the fingers have dropped off, it’s simply impossible to caress the black curse into another person. But Swedish corporation the Dastardly Institute for Contagion and Evil, or DICE, have been working for years to develop a mutation of the cold killer easily carryable by videogames publishers. Some 15 cases of Frostbite 3 have already been reported internationally. Frostbite technical director Johan Andersson said as much in conversation with a developer about the engine’s application programming language, Mantle. Battlefield 4, Need for Speed Rivals, Plants vs. Zombies: Garden Warfare, Dragon Age: Inquisition, Mirror’s Edge 2, Star Wars: Battlefront, the rebooted Command & Conquer and another Mass Effect. That’s eight accounted for – any idea where the rest might be? 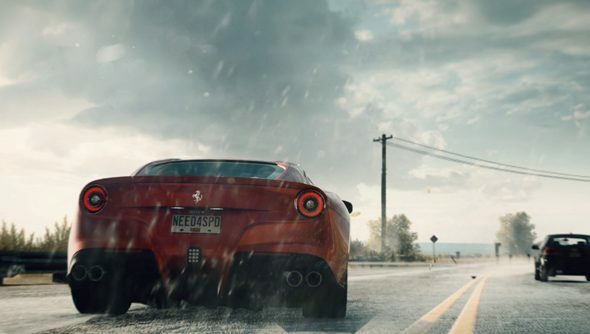 Need for Speed producer Marcus Nilsson said in June that Frostbite is “never going to be the Unreal Engine” – instead, it’s become the centrepiece of EA’s proprietary tech, jealously guarded from other games companies. I wouldn’t mind making more things collapse in my games, to be honest. That would be fine. How about you?